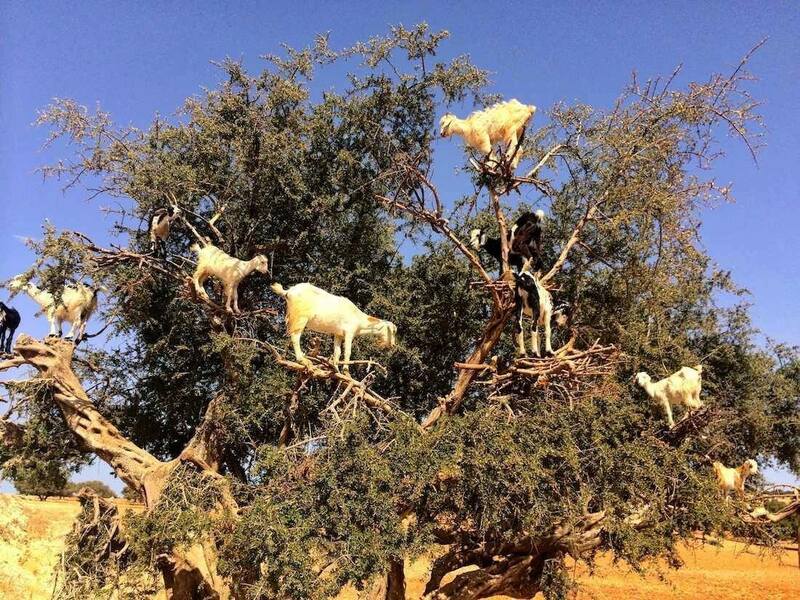 In Morocco, where Argan nuts are grown and harvested for the oil, some exceptionally nimble goats climb into the trees to eat the nuts. I use argan oil of course, but so often I am using and trying new oils and so even exceptional oils like Argan get pushed to the back of the cupboard. But recently I discovered Argan is my main go to oil! How did I find this out? September was the month I completely broke down my house in preparation to moving to Portland. This move had been on the horizon for several years but when you actually take it all apart, pack it up and move, it is its own special kind of tribulation. With everything needing to be boxed up for transport, I kept a few important things out to use while packing, moving and unpacking. Usually, I use a variety of oils daily on my skin as I like to try new oils I want to share with you here. But for now, I’ve discovered how truly versatile Argan oil is for hair, face and body. It’s that one oil to keep in your travel bag and stocked in your bathroom cabinet. Argan is the best oil to keep my hair conditioned and from being a fly away hay stack! And my skin loves it too. So, why is Argan oil so good? As xerophytes, plants and trees that grow in unusually dry conditions, they develop an exceptional capacity to thrive in a harsh and punishing environment. This property carries all through the plant even into the oil produced by a tree such as argan giving the oil the capacity to mitigate dryness of the skin. As we age, our skin is less able to produce the needed oils that keep it toned and dewy looking. Dry land plants and trees like argan bring compounds that support skin that may be dry as well as older. In its native Morocco, Argania spinosa or argan oil is used for both culinary use and topically for skin and hair. Its dry climate origins endow the plant with both morphological and physiological characteristics such as a deeply rooted system that enables it to survive under conditions of severe water deficiency. Waxes special to dry conditions help keep plants moisturized along with unsaponifiable phenols create a protective matrix in the oil that, in turn helps similar conditions found in older skin and very dry complexions. The exceptional content of vitamin E of the oil too, helps to protect against the oxidation of the poly and monounsaturated fatty acids, important actions where temperatures are high and light unrelenting. The antioxidant properties help to protect our skin from the damage that can happen in daily life from sun and a variety of weather conditions. And so Argan oil has a newly realized respect from me and will always have a place on my bathroom counter! What’s your go to oil or oils? leave a comment below and share your favorites. I haven’t discovered mine yet! I have to say Argan/Meadowfoam I use both at same time. The emollient feel, light weight is my best two. My skin loves them. However, to answer the question, Argan I add more in the blend vs meadowfoam because it is a lighter feel. And at 70 you look great!! How interesting! I recently pulled Argan Oil out and have been using it in the evening on my face and dry areas of my body. Now, reading your blog and learning about the actual plant it totally makes sense why it is so wonderful. I had no idea. And, a little seems to go a long way. Look forward to your next post. Thank you! I recently discovered the Real Argan in Morocco (even there most of it is fake in some way). I also love it. I use it on my face and in my hair and plan to incorporate it into a a body butter. Unfortunately, most people who think they are using it are using imposters and don’t recognize its true value. Or maybe that’s a good thing because it will give them more reason to buy my products when I get them out there! Mine is Argan oil as well. I use it for my hair mist, body oil and my soap free face wash. I just love it and so does my lifestyle. Refined is still worth using as most oils are not overly refined. Argan is one that is best used somewhat refined as the scent can be a little off putting! If I had to go down to the matt, it would be Baobab… probably for the same reasons that you list Argan. Interestingly, I do not know the fatty acid profiles of both Andiroba and Baobab by heart, like I do the oils I work with and recommend to most for skin needs… but I recently did a bit of research and landed on Andiroba, Baobab and Babassu for a particular set of reasons. However, I think that if I had to arrow it down for my needs, I would have to either switch Babassu out for either Hemp or Avocado. If I reviewed the oils in more detail, quite frankly I might go with avocado. Just don’t remember the fatty acid profile off hand and it would matter. Avocado now is maybe the third! Thank you. I’ve actually never tried argan oil for some reason but now feel the need to. Mine is rosehip oil. It does wonders for my skin. I also love black seed oil in spite of the strongish scent. A few years ago when I first heard about the benefits of argan oil, I purchased a bottle at our local co-op. Before bed, I applied the velvety liquid to my face and hands only to be heavily distracted by the odor of a goat yard. Whew! I couldn’t sleep. I could hardly breath the odor was so heavy. Had to wash it off. 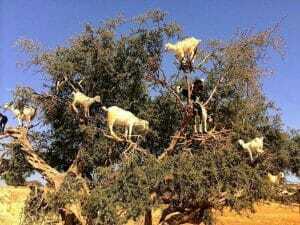 The next day, after a bit of research, discovered the goat link, and determined that if I was ever going to use argan oil in the future, the oil would have to be much more processed in some way. How do you buy argan oil without that unpleasant side effect? What do you look for on the label? Kathryn, look for argan deodorized. The natural scent can be strong. It’s quite a job to move, enjoy the experience. It reveals many parts of personalities! I have been using Argan oil on my hair for a few years but did not even think about using it on my skin or as a carrier oil. Could you direct me to more inciting this, please? 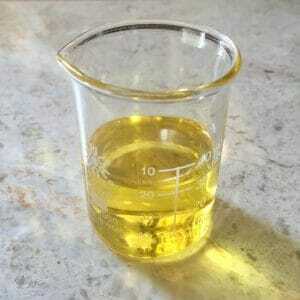 Bev, Any fixed oil can be used as a carrier for face, body and or hair. As a product of Morocco argan is also used in food preparation as it is a versatile oil. My go to oil is also Argan. Just love the way it makes my skin and hair feel. I love jojoba and camellia oil, but have recently started using argan oil in my skin products as well. It is nice and light.